We can send you all over the world with our freshwater fishing holidays. We have incredible destinations to Hungary, Thailand, Canada, Sweden, Brazil and Spain. All of which allow you to target some incredible species. Additionally, all our holidays are fully packaged meaning you do not have to worry about anything. Targeting mammoth predators in one of the most famous lakes in Sweden, with record sized Pike, Zander and Perch finding their way into the lake through its small connection channel to the Baltic Sea the potential of this private lake is vast! We offer a wide range of freshwater fishing holidays allowing you to catch monster fish. If you are after a giant Catfish, then take a look at our superb Gillhams Fishing Resort. This incredible destination has a 12-acre lake stocked with 51 species of fish from around the world. Another amazing freshwater fishing holiday we offer is a trip to the Fraser River in Canada where monstrous Sturgeon inhabit the area. We have had many anglers coming back from this trip and telling us this is the ultimate freshwater fishing holiday. Not only do we send anglers to cooler destinations but we also do many freshwater fishing holidays to hotter climates. One of our most popular destinations is the Peacock Bass fishing destination in Brazil which provides the most incredible most incredible game fish in the Amazon basin. Another very popular holiday with freshwater anglers is the destination of Thailand. Many freshwater anglers fly out here to sample the astonishing fishing on offer from the beautifully marked Red Tail Catfish, the huge Siamese Carp to the Jurassic looking monster of lakes that is the Arapaima. 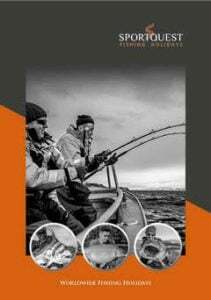 If you have any questions on our freshwater fishing holidays, contact our expert team or request a free brochure.